Woman-as-mother, Madonna, temptress, prostitute, martyr, saint or goddess are classical motifs that have been painted and sculpted throughout art history from a predominately male gaze, resulting in the historical fixity of women's gestures and objectification of the body. 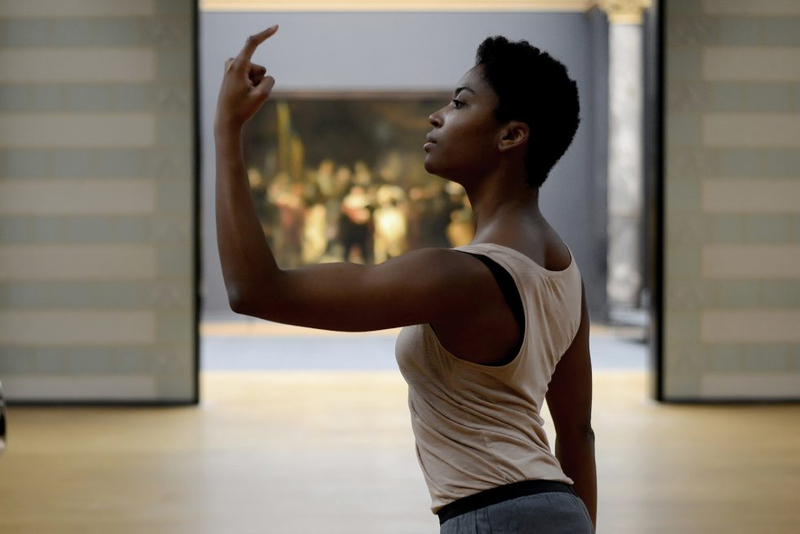 Alexis Blake selected a series of female poses found in artworks from the Renaissance to early Modernism and created a choreography and performance that explores subjectivity and examines gender and representation through embodiment, repetition and sound. Two dancers and four musicians in the Horta Hall at BOZAR will abstract the poses, strip them of their history and context, and confront the viewer to address, contradict and question preconceived notions of a body. • Alexis Blake has a multidisciplinary practice that coalesces fine art, movement and performance. Blake received an MA in Fine Art from Piet Zwart Institute, Rotterdam (2007) and was an artist-in-residence at the Delfina Foundation, London (2016) and Jan van Eyck Academie, Maastricht (2014–15). Her work has been presented at numerous locations, such as: Riga Biennial 2018, Rijksmuseum (Amsterdam), British Museum (London) as part of Block Universe, ExtraCity (Antwerp) and La Triennale di Milano XXI (Milan).